We all make mistakes in life and unfortunately, it’s the only true way to learn. The same goes for our content marketing strategies. The space grows, and simultaneously, so do our mistakes. Below is a list of what we know hurts brands rather than help them, and how to avoid these four content mistakes in the future. A strong foundation is needed to achieve a goal, and that strength comes from asking questions before you begin writing your content. First, what are you trying to achieve? Is it quality leads? Is it to engage new buyers and introduce them to your brand? Or is it simply wanting to let the audience know who you are, not what you do? If you can ask and then answer your own questions you have a better chance at providing value and gaining results. 2. Not Providing Quality Content. Can you list the top 50 burning questions your audience would really like an answer to? If you can’t, then you need to find out. Throwing trivial information at them, rather than information they yearn for, will not help to gain their attention or keep them engaged. For example, if you are a bridal shop and you’re writing a piece on how to lose weight before the big day, it may not be as effective as if you provide tips on how not to trip down the aisle. Which according to Brides.com is one of the most popular concerns a woman has. Your content marketing strategy should simply answer your customers’ questions and most general concerns. This one is really simple. 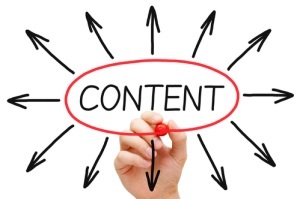 The more quality content you publish, the more website traffic gained. Hubspot recently reported that brands that published 16+ blog posts per month received about 4.5X more leads than companies that published between 0 – 4 monthly posts. Content Marketers are not in the business of manipulating their consumers. They know their audience can sniff out a sales pitch instantly. Today, nobody wants to be sold or bombarded with shameless plugs, they want to be educated or entertained. When you provide compelling content, you draw in engagement and social media shares, which is key. So don’t be a salesperson, it just doesn’t work.